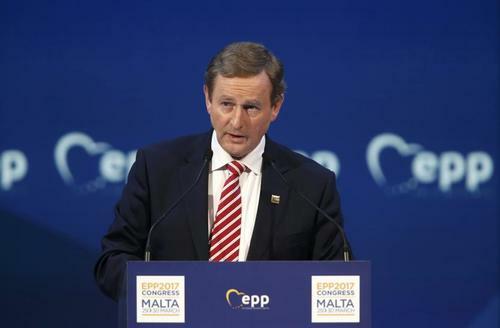 Reuters UKNegotiations on Britain's departure from the European Union must not undermine peace in Northern Ireland and there can be no "hard border" between the British province and the Irish Republic, Irish Prime Minister Enda Kenny said on Thursday. Reuters UKA senior member of Germany's Social Democratic Party (SPD) says Britain should hold a second referendum on its membership of the European Union once Brexit negotiations have been completed. Reuters UKBritish Prime Minister Theresa May and European Council President Donald Tusk agreed on Thursday to try to lower tensions in upcoming Brexit talks, especially over issues like Gibraltar. Reuters UKThe European Commission willreflect carefully on the location of euro-denominatedderivatives clearing, a business mostly done in London now andthat will be outside the EU when Britain leaves the bloc, the EUexecutive's vice president said on Thursday. Britain will seek the best deal for the British enclave of Gibraltar in its departure talks with the European Union and there will be no negotiation of sovereignty without its citizens' consent, Prime Minister Theresa May said. 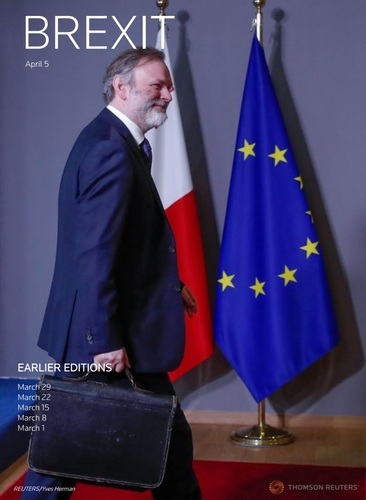 After meeting European Council President Donald Tusk at her Downing Street official residence, May said Britain was looking forward to formally beginning talks with the European Union once the bloc has agreed its guidelines. "The PM also made clear that on the subject of Gibraltar, the UK's position had not changed: the UK would seek the best possible deal for Gibraltar as the UK exits the EU and there would be no negotiation on the sovereignty of Gibraltar without the consent of its people," May's office said in a statement. Britain and the remaining 27 members of the European Union should stay away from the 'cliff edge' of Britain falling back on World Trade Organisation terms of trade at the end of Brexit negotiations, Eurogroup chairman Jeroen Dijsselbloem said. "Let's try to minimise the damage," he said of Brexit, speaking at a banking conference in Berlin on Thursday. Dijsselbloem, who said he would discuss Greece with German Finance Minister Wolfgang Schaeuble while in Berlin, said the more he thought about Brexit, the more worried he became. He singled out financial stability as one area of particular risk. Asked about "passporting" rights for Britain-based institutions to sell financial services in the EU single market after Brexit, Dijsselbloem replied: "I think, also talking to financial players from the City, that passporting won't be the answer. There will be different regimes for different sub-sectors of the financial sector." Reuters UKPrime Minister Theresa May unleashed a scathing attack on Britain's main opposition party on Thursday, launching a campaign for local elections next month that will be the biggest electoral test so far of her leadership and her plan to leave the EU. 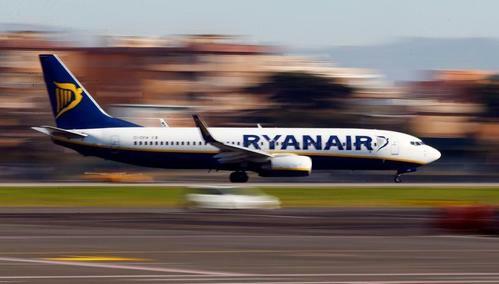 Reuters UKRyanair (RYA.I), Europe's largest airline by passenger numbers, plans to pivot its growth away from Britain over the next two years as the country negotiates its exit from the European Union, its finance director said on Thursday. Reuters UKEuropean Council President Donald Tusk will meet British Prime Minister Theresa May in London on Thursday, according to a schedule published by Tusk's office. Ryanair chief financial officer Sorahan says Brexit will inevitably lead to slowdown in UK, EU and will lead to lower air fares to stimulate demand. Unilever CEO says Brexit is not a reason to consider slimming structure. Europe's medicines watchdog is preparing to pack its bags and relocate from London, now that Britain has triggered the process of leaving the EU, and its executive director wants a decision on the agency's new home as fast as possible. ReutersEuropean Union officials have heard complaints from some members of the bloc about others lowering the requirements for "passporting" rights to sell financial services in the EU single market, the European Commission vice president said. ReutersEurope's medicines watchdog is preparing to pack its bags and relocate from London, now that Britain has triggered the process of leaving the EU, and its executive director wants a decision on the agency's new home as fast as possible. 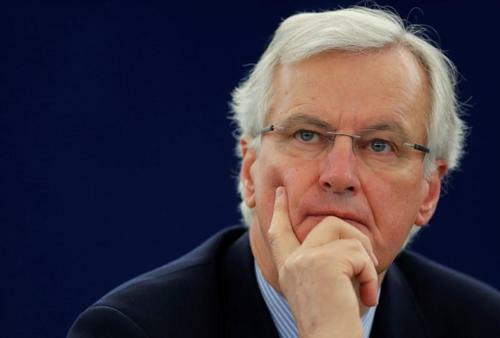 Reuters UKBritain must stop pressing for immediate parallel talks with the European Union on a post-Brexit free trade deal, EU chief negotiator Michel Barnier said on Wednesday, and first agree on withdrawal terms. Reuters UKPrime Minister Theresa May has not ruled out allowing the free movement of people between Britain and the European Union during "an implementation phase" after Britain leaves the bloc, the BBC reported on Wednesday. Reuters UKEuropean Union lawmakers adopted a resolution on Wednesday setting their red lines for the two-year divorce talks with Britain and rejected attempts by British MEPs to recognise Gibraltar's pro-EU stance in the Brexit referendum. 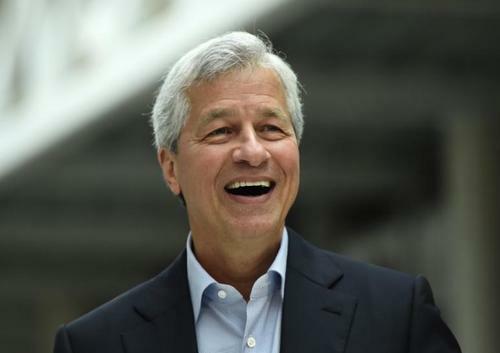 Reuters UKThe head of U.S. bank JPMorgan Chase (JPM.N) said on Tuesday the bank is not planning to move many jobs out of Britain in the next two years in a softening of tone on the likely impact from Brexit. 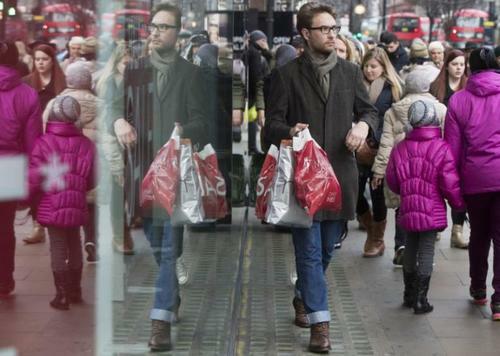 Reuters UKNearly half of British households plan to cut spending as worries around inflation escalate, a survey showed on Wednesday, driving home the squeeze on consumers from rising energy prices and the pound's post-Brexit vote plunge. Is the UK in the grip of Brexit fever? Europe's banking lobby warned on Wednesday of the dangers to wholesale banking and financial stability if negotiations over Britain's exit from the European Union end in deadlock. 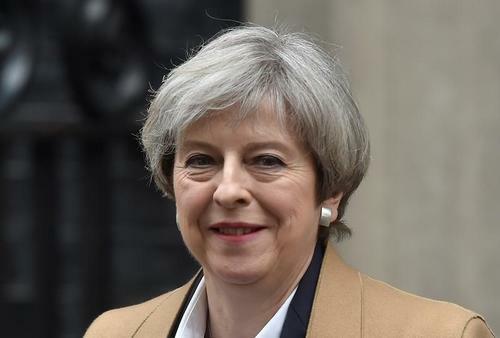 British Prime Minister Theresa May has suggested that the free movement of people between Britain and the European Union could be extended during an implementation phase after Britain leaves the bloc, the BBC reported on Wednesday. LONDON, April 4 (Reuters) - A Spanish navy patrol ship entered Gibraltar's territorial waters without permission on Tuesday, the government of the British outpost on the southern tip of Spain said. The future of Gibraltar has become the first big dispute of Brexit since Prime Minister Theresa May filed formal divorce papers last week, with the EU draft position on negotiations saying the application of any EU-UK trade deal to Gibraltar had be agreed between Spain and Britain. On Monday, May's spokesman played down comments by a former leader of her Conservative party, Michael Howard, that she would be prepared to go to war to defend the territory. LONDON (Reuters) - Chancellor of the Exchequer Philip Hammond said on Tuesday that the government was looking at a range of potential outcomes for forthcoming Brexit talks, but declined to say if his department had conducted a detailed economic analysis. Earlier on Tuesday a parliamentary committee said the government should justify Prime Minister Theresa May's view that "no deal is better than a bad deal" by offering an economic impact assessment. Pressed on whether the finance ministry had its own analysis, Hammond said it was looking at the different potential outcomes around Brexit "all the time". But he declined to say if this included an in-depth analysis. "When you go into a negotiating room, it really isn't helpful to have outlined in detail the different potential outcome scenarios," he told Sky News during a trip to India. Reuters UKAll financial business denominated in euros should be moved from London to the European Union after Britain leaves the bloc, anEU lawmaker said on Tuesday. ReutersIndia and Britain on Tuesday talked up their prospects of developing a new trading relationship, as their finance ministers met in New Delhi to prepare for the United Kingdom's exit from the European Union. Top EU lawmaker calls for all Euro-denominated securities business to be moved from London to Eurozone after Brexit. Reuters UKBritain should aim to secure visa-free travel between the UK and the European Union in upcoming negotiations to leave the bloc, an association of travel agents said on Tuesday, adding that a transitional deal could also help the sector. Reuters UKBritish Prime Minister Theresa May must prove that "no deal is better than a bad deal" by offering an economic assessment on the impact of leaving the European Union with no agreement, a parliamentary committee said on Tuesday. Who are the key players in the upcoming Brexit negotiations? 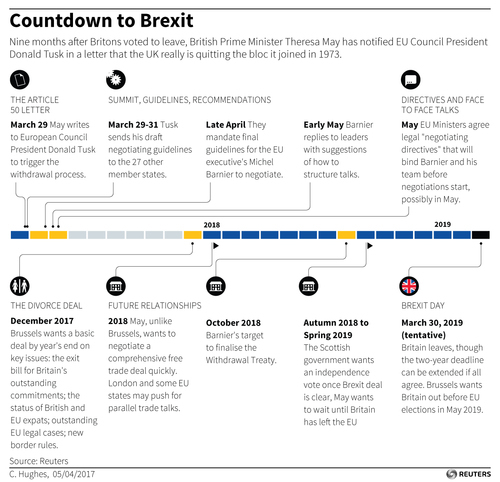 Reuters UKJust days after Prime Minister Theresa May formally served the European Union with divorce papers, a powerful affliction appeared to strike some in Britain: Brexit fever. Reuters UKBritain will wait until the end of the month to find out what guidelines the other members of the European Union have agreed regarding issues such as Gibraltar, Prime Minister Theresa May's spokesman said on Monday.